In February another Nintendo partner, "Super Mario Run" and "Animal Crossing: Pocket Camp" developer DeNA, said that most of its smartphone titles are struggling except for "Megido 72" -- an independent production. Nintendo has good intentions but this is the iPhone business model. Nintendo has a weird way of being innovative but moving slow. 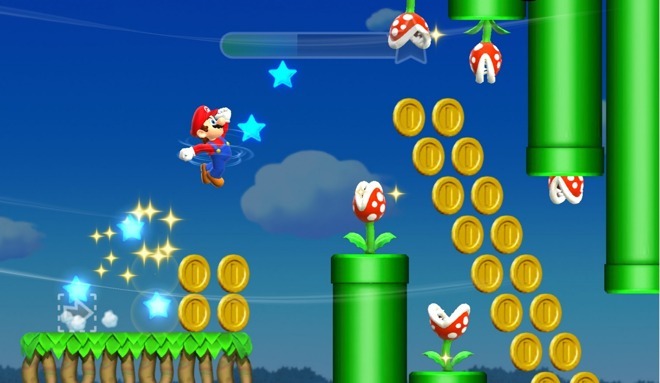 Nintendo had a monopoly on indie developers until iPhone came out. They just sat back and watched Apple take all these developers under their wing. Strange because Nintendo is a gaming company while Apple seems to not give a sh**. Point is, a successful mobile platform from Nintendo would have been their ideal, instead they have deal with this freeware model that Apple brought to market. Before anyone mentions the Switch being successful tell me how it's selling 200 million a year and has iOS-level indie developer support. It started out as paid apps. I don't think Apple brought in-app purchases to the market, but they certainly enabled and benefited from it. Nintendo is arguing against gouging - that's a bit vague on the face of things. Almost on the level of "I know it when I see it"
I've got some free to play games on my phone - you can really see the pay to win aspects on some - the competitions that encourage spending. It's fun to figure out strategies to win and generate a lot of in game resources without paying. The ios platform did not become casual gaming heaven out of nowhere. Apple has core technologies like Metal which takes advantage of the A Series processors. Plus the controllers in iOS & tvOS have become quite solid .It takes time for good games to come. For now even Fortnite is an iPad Pro seller with a Steelseries Nimbus controller. But those things came out much later. The casual market was sunk into iOS long before Metal. Depends on what games you're playing. If you're playing one of those stupid games that makes you wait 72 hours for an upgrade, you never win. There's people who have spent thousands on Clash of Clans and are still below other players. Well maybe Nintendo should lead by example. Many of the tittles they have on the App Store are solid and I wouldn't mind paying a premium for them, $20-$30. The real problem is that Nintendo requires a constant internet connection to be able to play. Meaning I can't play while I commute and they are alienating the iPod Touch user market (kids). Why do you think you have to be the top player to “win”? I’ve been playing Star Wars Commander for a couple years now, sank maybe $30-40 in it early on to get a kickstart because I enjoyed it, but literally did not have to. Upgrades on things at this point in the game take up to a week and a half and you literally do not have to pay anything, and I win conflicts all the time. I could’ve paid zero dollars and played as long as I have. Fortnite made how much only selling cosmetic upgrades? It’s a solid business model. You never "win". It's a never ending loop like chasing your tail. I've never played that Star Wars game but games like Clash of Clans have no end. Even when you collect everything the game has to offer they just add more things to collect. Even when you max out your stats, they add a higher rank. Keep in mind you could blow $1,000 before getting to the highest rank or collecting everything. Why do you think a game (especially an online/multiplayer game) requires an ending? I'm in the same boat. I started playing SimCity BuildIt a couple of years ago. I used IAP a couple of times initially, when EA Games chose to donate 50% of that for fighting AIDS or some other charity. After that, I've never made an IAP again and I really get a lot of pleasure from the game. I've reached pretty high, as far as achievements are concerned. It's certainly not for anyone looking for a rush. It's just a nice game for lethargic people like me. The only IAPs I do are for the Star Wars Pinball boards in Zen Pinball.